The club has grown hugely since it’s early days in 2004 when there were just 7 young climbers and their parents … today we have well over 100 youth members and a host of volunteers, parents and experienced climbers. We became an Incorporated Society in 2007 and a committee was formed. The Chairperson has a strategic role to play in representing the vision and purpose of the club and ensures that the committee functions properly. The role of the Treasurer is to maintain an overview of the club’s financial affairs and to ensure that proper records and procedures are established in compliance with it’s legal requirements. The role of the Secretary is to support the Chairperson in ensuring the smooth functioning of the committee, and the responsible administration of the club. The role of the Fundraising Coordinator is to identify and exploit fundraising and sponsorship opportunities to meet the funding requirements of the club’s activities. The role of the Communications Coordinator is to proactively seek opportunities to promote the activities of the club and the successes of it’s members both internally and externally. The role of the Membership Coordinator is to promote the growth in membership, to maintain an accurate database of members and to manage the collection of club fees. 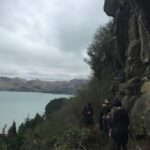 The role of the Climbing New Zealand Representative is to represent the vision and interests of the club on the Climbing New Zealand Committee, and to have a constructive and responsible role on that committee. 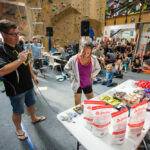 The role of the Competition Coordinator is to liaise with Climbing New Zealand to organise all aspects of sport climbing competitions managed by the club. The role of the Programme Coordinator is to work with the Head Coach, the Head Instructor and the Squad Leaders to design and record a Developmental Programme for the club. The Head Instructor will be responsible for ensuring that all volunteers are aware of, and understand, best practice instruction techniques and safety management. The Head Coach will be responsible for the ongoing development and delivery of the coaching programme for the club, the individual squads and in particular the Training Teams.